The kitchen didn't change much visibly on Saturday as the day was devoted mostly to the second coat of drywall compound, sanding the drywall compound and the trim wood (window and door casings). 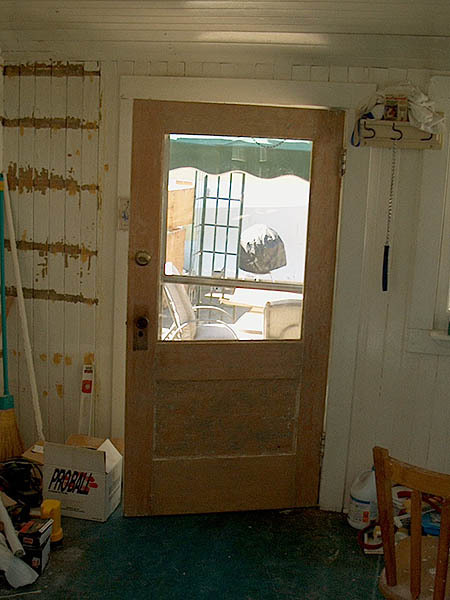 We also stripped the back door naked! Only one picture for this weekend.